Two natural wonders that will leave you speechless: a collapsed volcanic caldera, the Cirque de Salazie, with its lush vegetation and stirring views, and the awe-inspiring waterfalls of Voile de la Mariée that weave a tapestry of pretty rivulets across a steep wall of rock. Throw in some picturesque villages and a vanilla plantation: what more could you ask for? 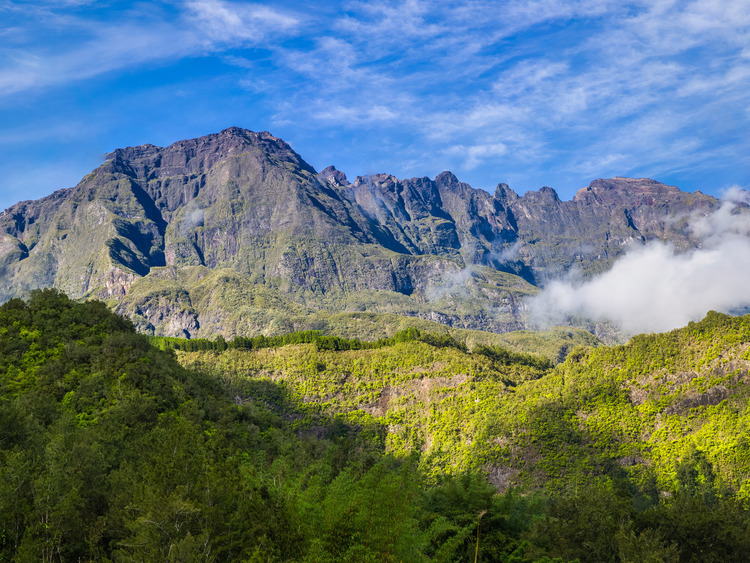 Easily accessible, and covered with lush vegetation, the Cirque de Salazie draws countless tourists with its mild climate, spectacular views and natural beauty. The road has a good number of sharp curves and hairpin bends. The itinerary will take us up over 1,000m above sea level, so please bring suitable attire. The means of transportation will have different seizes. This excursion is reserved for passengers who don't disembark in Reunion.